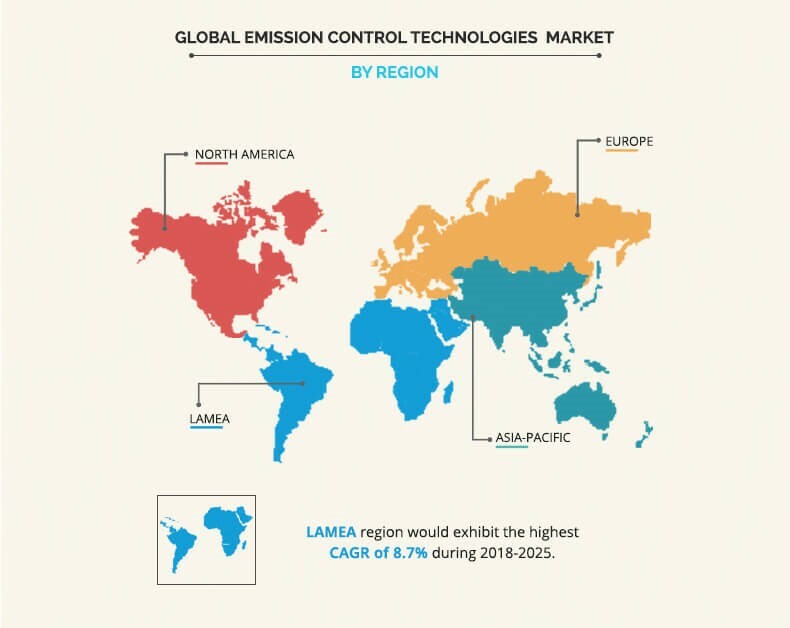 The global emission control technology market size was valued at $91,540 million in 2017 and is projected to reach $160,314.9 million by 2025, registering a CAGR of 7.3% from 2018 to 2025. In 2017, Asia-Pacific accounted for the highest emission control technology market share. Emission control technologies are installed to reduce the emission of harmful pollutants such as unburned hydrocarbons, carbon monoxide, oxides of nitrogen, and others. Technologies such as diesel particulate filter (DPF), gasoline particulate filter (GPF), diesel oxidation catalyst (DOC), selective catalytic reduction (SCR), exhaust gas recirculation (EGR), and others are installed to control the emission of pollutants in the ecosystems. Government of various countries are setting up strict regulations to meet the emission standard and to achieve clean air goals. Diesel particulate filters and gasoline particulate filters are used to capture the particulate matter in the filter and control their emission in the atmospheres. Whereas, selective catalytic reduction and exhaust gas recirculation are used to reduce emission of nitrogen oxides. In addition, diesel oxidation catalyst is used to the release of harmful carbon compounds in ecosystems. Moreover emission control regulations by government and increase in automobile production drive the growth of market. In addition, adoption of nanotechnology in catalytic converters is anticipated to propel the growth of the emission control technology market. 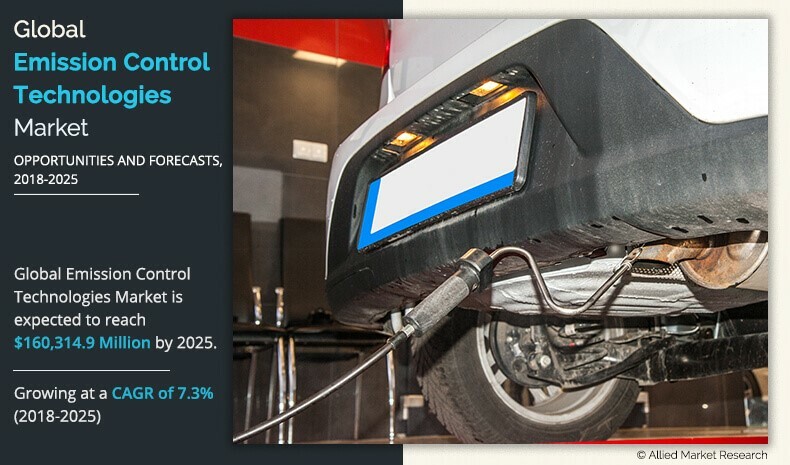 However, growth in production of electric vehicles and high cost of emission control technology is expected to hinder the growth of the market. Furthermore, innovations in emission control catalysts and government initiatives for emission reduction in developing nations holds a remarkable growth opportunity for the players operating in the emission control technology market. The emission control technology market report is segmented based on technology, fuel type, end-user vertical, and region. Technology is categorized as diesel particulate filter (DPF), gasoline particulate filter (GPF), diesel oxidation catalyst (DOC), selective catalytic reduction (SCR), exhaust gas recirculation (EGR), and others. Fuel type is divided into diesel and gasoline. End-user vertical is classified as automotive, marine, off-highway, rolling stock, and industrial. Based on region, the market is analyzed across North America, Europe, Asia-Pacific, and LAMEA. The key players operating in the Emission control technology market include BASF, Clean Diesel Technologies, Inc., Clariant, Cormetech, Corning Incorporated, DCL International Inc., Johnson Matthey, Tenneco Inc., Umicore, Walker Exhaust Systems, and others. Government has established stringent regulation for pollutant gas emission from the vehicles because of combustion of fuels such as diesel fuel, fuel oil, petrol, gasoline, biodiesel, and others. Euro 6 is a latest emission regulation by European union directive to reduce harmful gases such as carbon monoxide(CO), nitrogen oxide(NOx), hydrocarbons, and others from exhaust system of the vehicle. Similarly, emission control technology is used in catalyst converters, an emission control device used to convert toxic and harmful gases from engines into less-toxic pollutant and help to meet the government emission standards. This fuels the growth of the emission control technology market. Developing nations witness a rise in demand and production of automobile. For instance, India became the fourth largest automobile industry in the world with the increase in sales of 9.5% year-on-year to 4.2 million units. This rise in automobile production in the developing nations automatically leads to increased production in demand for emission control technology for emission control devices in automobile exhaust systems. Therefore, increase in automobile production is anticipated to boost the growth of the emission control technology market. In recent years, demand and production of electric vehicles has increased significantly as electric vehicles have several advantages over fuel-powered automobiles. Components such as fan belts, oil, air filters, head caskets, timing belts, cylinder heads, and spark plugs do not require replacement, which in return makes it cheaper and efficient for fuel-powered automobiles. This makes electric vehicle a preferred choice, which in return restraints the fuel-powered automobile markets. Thus, growth in production of electric vehicles hinders the growth of the emission control technology market. Key players of the emission control technology market are investing in improvement and development of emission control technologies. A three-way catalyst can reduce the emitted pollutant from vehicle at 100% conversion efficiency at its operational temperature, typically above 400C, which is much higher. Johnson Matthey Inc., a leading emission control technology producer is working on the development of three-way catalyst for future vehicle, which improves fuel efficiency and reduce CO2 emission substantially at lower operating temperature. 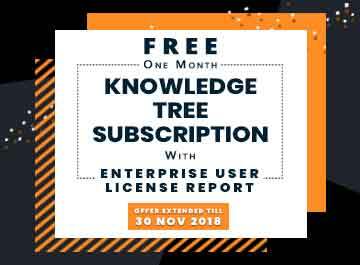 This innovation in emission control technology is anticipated to provide future growth opportunity to the emission control technology market. This study presents the analytical depiction of the emission control technology market analysis along with the current trends and future estimations to depict the imminent investment pockets. The current emission control technology market is quantitatively analyzed from 2017 to 2025 to benchmark the financial competency. 8.3. Clean Diesel Technologies, Inc. Emission control technologies refer to technologies installed to control the discharge of harmful greenhouse gases due to the internal combustion in engine and other components. Various emission control technologies such as diesel particulate filters (DPF), diesel oxidation catalyst (DOC), gasoline particulate filters (GPF), exhaust gas recirculation (EGR), selective catalytic reduction (SCR), and others are installed to reduce the emission from engines which is responsible for significant share in total pollution. Government of various countries are making it compulsory to adopt emission control technologies to meet the emission control standards. 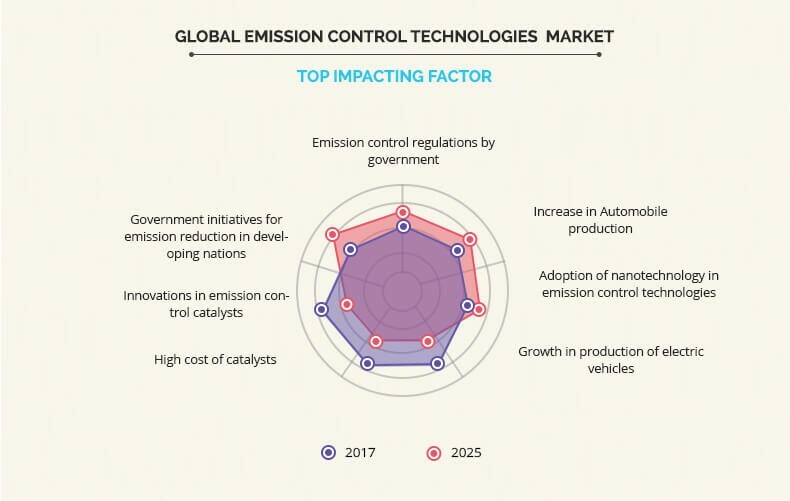 Emission control regulations by government, increase in automobile production, and adoption of nanotechnology in emission control techno are the key factors that fuel the growth of the global emission control technology market. However, growth in production of electric vehicles and high cost of automotive catalysts hinder the market growth. Among the analyzed geographical regions, currently, Asia-Pacific is the highest revenue contributor, however, by the end of the forecast period, Asia-Pacific is expected to garner highest revenue in the global market, followed by Europe, LAMEA, and North America. This is attributed to strict government rules for emission in Asia-Pacific.